Dublin's minor hurlers bounced back in style from their opening day defeat when cruising to a 20-point victory in Saturday's Electric Ireland Leinster MHC Tier 1 clash at O'Moore Park, Portlaoise. The Dubs were beaten by a highly-rated Kilkenny last Sunday in Parnell Park in a tight, well-contested battle but this encounter was heading Dublin's way following a scoring flurry midway through the opening half. 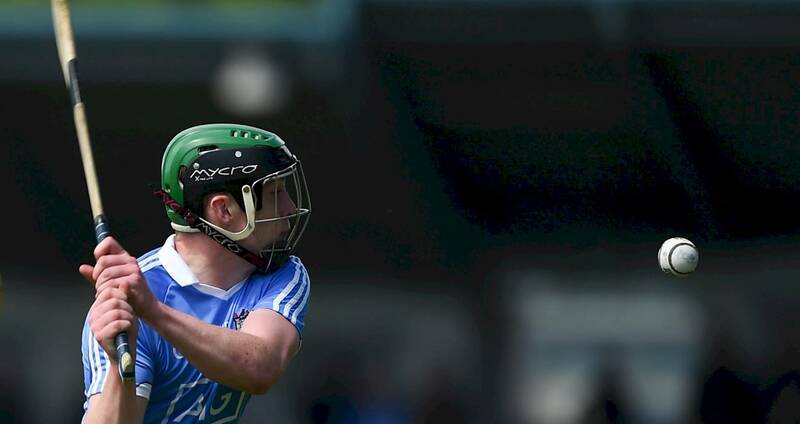 Top-scorer Liam Dunne, with two early frees in his tally of 1-10 (0-9f), opened Dublin's scoring but the next three were all from the stick of Laois' Adam Kirwan who converted three frees. Indeed Kirwan was the home side's only scorer throughout with all his seven scores coming from frees. A Luke Swan point for Dublin ignited a dominant spell for Mike Connolly's lads and when Kilmacud Crokes' Dara Purcell goaled in the 24th minute the Dubs moved 1-9 to 0-4 clear and were on the road to victory. Laois concluded the scoring in the opening half, Kirwan's fifth free, but Dublin regained their superiority in the second half to eventually run out comprehensive winners. Dublin's second goal arrived with ten minutes remaining when Raheny's Liam Dunne found the net with a stylish finish to make it 2-15 to 0-6. Dublin closed out the game with two close range Dunne frees, and points from sub Seán Foran, Luke Swan and Conor Murray while Kirwan converted his seventh free in the last minute of play. The Dubs host Wexford next Saturday in their concluding game of the Tier 1 round-robin section, all counties in Tier 1 progress to the Leinster MHC quarter-finals with placings in the group deciding quarter-final opponents from Tier 2. 2018 Leinster MHC - Dublin's schedule: Round 1, (Sunday May 13) Dublin 4-12 Kilkenny 3-23, Parnell Park; Round 2, (Saturday May 19) Dublin 2-21 Laois 0-7, O'Moore Park, Portlaoise; Round 3, May 25 home v Wexford. SCORERS – Dublin: L Dunne 1-10 (0-9f), D Purcell 1-2, C Murray 0-3, L Swan 0-2, A O’Toole, P Christie, C Foley, S Fenton 0-1 each. Laois: A Kirwan 0-7 (0-7f). 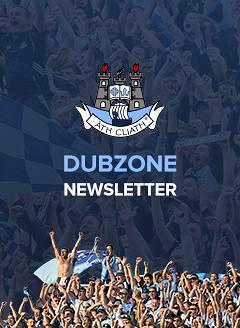 DUBLIN: J Lambert; K Byrne, C Hogan, T Cullen; E Carney, A O’Neill, I Ó hEithir; D Leavy, D Power; C Murray, P Christie, C Foley; L Dunne, L Swan, D Purcell. Subs: A O’Toole for Christie (41), F Murphy for Byrne (43), C Walsh for Cullen (46), F Ryan for Leavy (50), S Fenton for Purcell (54). LAOIS: L Fitzpatrick, B Shore, D Brennan, G O’Neill; K Kelly, C Cosgrove, T Fitzpatrick; F Mahoney, T Cuddy; C Byrne, A Connolly, E Hawkes; M Hennessy, C O’Shaughnessy, A Kirwan. Subs: N Carey for Kelly (ht), DJ O’Callaghan for Hawkes (ht), F Holland for Shore (52), S Farrell for Byrne (55).